Dr. Gillis opened her lecture with an introduction to wildlife epidemiology, the science that seeks to understand the spread of disease in wild populations. She emphasized the challenges faced by researchers in detecting, monitoring, and managing such diseases, noting that epidemiological techniques developed for investigating the spread of disease in domestic animals and humans are not readily transferrable to wild populations. She defined disease as an impairment of function, and noted the sub-lethal effects of parasites which can weaken and predispose animals to disease. Wildlife diseases include plague, H1N1, tuberculosis, Ebola, Hantavirus, West Nile Virus, Lyme disease, rabies, and distemper. Many of these diseases also affect humans and domestic animals. Some exceptions include the chytrid fungus infecting amphibians, and another fungal infection causing white nose syndrome in bats. More typical of wildlife diseases is elk hoof disease, which can be important locally but otherwise not very well-known. Elk hoof disease, or hoof rot, is an emerging disease of wild elk that has been detected in Washington, Oregon, and Idaho; while the disease will likely show up in BC eventually, D. Gillis suggested that the Roosevelt elk on Vancouver Island could be protected by virtue of being on an island. The decline in feral rabbits inhabiting the VIU campus began on February 13, 2018, when three dead rabbits were discovered by a biology student. Two more dead rabbits were found the next day and this trend escalated rapidly over the next couple of months. The January pre-outbreak population of 150-200 estimated individuals suffered more than 85% mortality in February and March, with the number of surviving rabbits dropping to about 20 and remaining at this level for the duration of the study (data shown to November 2018). In tracing the history of the outbreak, Dr. Gillis noted that initially the rabbit deaths were thought to be winterkill as they occurred during cold winter months when the animals were under stress. As the deaths continued, investigators surmised that poisoning might be a possible cause, and some rabbit carcasses were then submitted for diagnostic screening. By February 27, mortality had increased to point where the situation was becoming quite apparent to the general public and an article appeared in the Nanaimo News Bulletin. 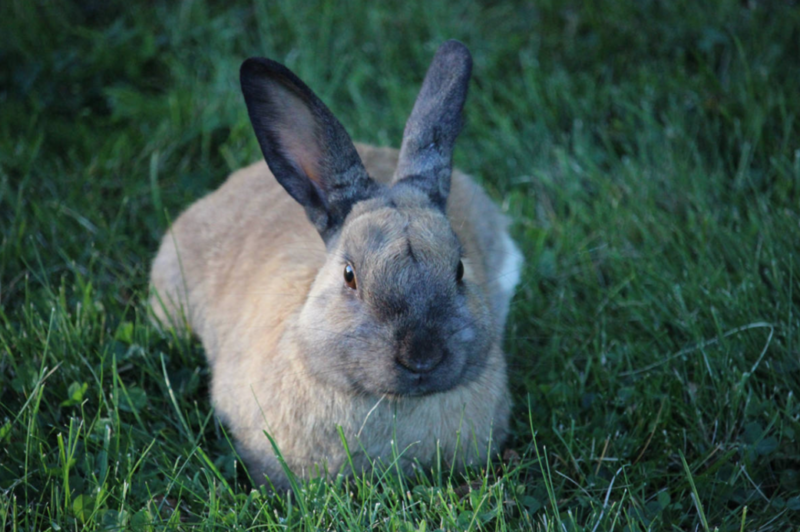 On March 1, a veterinarian confirmed that rabbit hemorrhagic disease (RHD) was causing the deaths and a media release announced this finding the next day. Dr. Gillis pointed out that the diagnosis was significant because it was the first case of RHD in British Columbia, and the first case of RHD in a free-living population in Canada. The Nanaimo outbreak was reported provincially, nationally, and internationally. Following the diagnosis, animal shelters in Nanaimo stopped accepting rabbits, veterinary clinics and pet owners increased their biosecurity measures, and rabbit shows were cancelled at the Vancouver Island Exhibition (VIEx). Rabbit breeders were impacted, and in a Richmond animal shelter many rabbits were euthanized as a result of the outbreak. Dr. Gillis explained the RHD is caused by a calicivirus (RHDV) with three major sub-types: RHDV, RHDV1, and RHDV2. It is a fatal hemorrhagic disease with up to 90% mortality from internal bleeding. Death typically occurs within 24-60 hours after infection. The disease is highly species specific and only impacts European rabbits. As an aside, Dr. Gillis pointed out that the virus was used as a biocontrol in Australia to contain the burgeoning rabbit populations on that continent. The RHD virus persists in carcasses for more than 6 weeks and is transmitted by direct contact and coprophagy (eating feces), as well as by flies, scavengers, and predators. At the VIU campus, the high population density of rabbits before the outbreak significantly increased transmission of the virus. In addition, on-campus feeding of rabbits drew them together which also intensified spread of the disease. Another contributing factor was the migration of turkey vultures, which are well-known scavengers. An interesting finding from the study was that surviving rabbits tended to be dark coloured, and the white, beige, and multi-coloured individuals disappeared. Some of the explanations posed for this result included: a possible genetic link between pelage colour and RHD; a “founder effect” where dark-coloured survivors preferentially contributed their genes to rebuilding the population; and/or selective predation on light-coloured rabbits as the population declined and predators actively sought out prey that stood out against a darker background. While the origin of the outbreak at VIU is unknown, it may have come from rabbits “dumped” on campus by pet owners or it may have resulted from rabbits accidentally transported into the area from elsewhere. Throughout her presentation, Dr. Gillis emphasized the circumstances permitting this unique opportunity to detect and monitor the RHD outbreak on the VIU campus. As part of an ecology course, VIU students have been conducting mark-recapture exercises on the local rabbit population since 2009, providing excellent baseline data showing a steady increase in population size to January 2018 followed by a dramatic collapse in February and March of that year. An inquisitive student found the first dead rabbits and followed up with faculty to determine the probable cause of their demise. Staff from the VIU Health and Safety department and VIU Facilities participated in collecting carcasses and recording deaths, and a local veterinarian diagnosed the RHD virus responsible. This collaboration led to the early detection of the outbreak and the ability to quantify the disease’s immediate impact.